A kaleidoscope of Culture, Colour, Beauty and Photography in India. This diverse tour offers all facets of India. We explore the bustling city life of New & Old Delhi, the lake city of Udaipur and rural areas in Rajasthan. Included is a well balanced mixture of temples, cities, people, artisans, transport, architecture, nature, farms and village life – combined with deep knowledge of the history and culture of India from Ishvara and how to improve your photographic skills from Peter and Leanne – both Accredited South African Professional Photographers. There are a minimum of eight and maximum of sixteen people on this tour so early booking is advisable to avoid disappointment. Ishvara Dhyan is South African yet has traveled to India over 20 times and is fluent in Hindi and Yiddish. He is deeply knowledgeable about the area, food, fabrics, history, buildings and the culture. His business, Ancient Secrets, has been running for many years and he specialises in Cultural Tours through the Inner City of Johannesburg. thephotowalkers.com and Ancient Secrets teamed up in 2016 and offer a wonderful combination of photography and culture. Our photographers years of experience behind the lens and our guides many years of living in and scouting India is what puts thephotowalkers.com tours into a league of its own. How to the colour wheel to make your images ‘pop’ – India is all about colour! 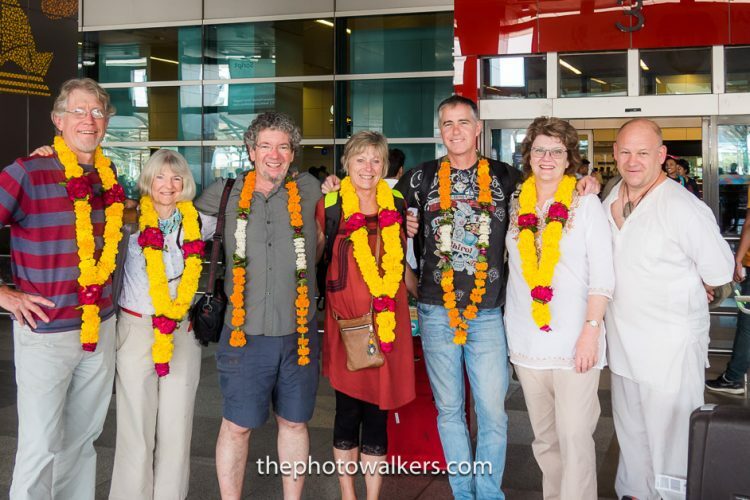 Arrival at India Gandhi International Airport with a meet and greet by the tour guide and photographers. Transfer to your hotel. At 15h00 an informal orientation walk around the Paharganj area close to your hotel in conjunction with an introduction to photography workshop and checking your camera / phone settings to make sure that you are set to capture India as best as you can. An incredible evening at the Bangla Sahib Gurdwara (Sikh Temple) Sixteen thousand people are fed daily at the Gurdwara. We will help in the kitchen making dhal, rice and chapati and then enjoy the meal with the locals. Night photography of the temple reflecting in the lake. A day in New Delhi with a visit to the Lodi Gardens followed by High Tea at the Majestic Imperial Hotel. 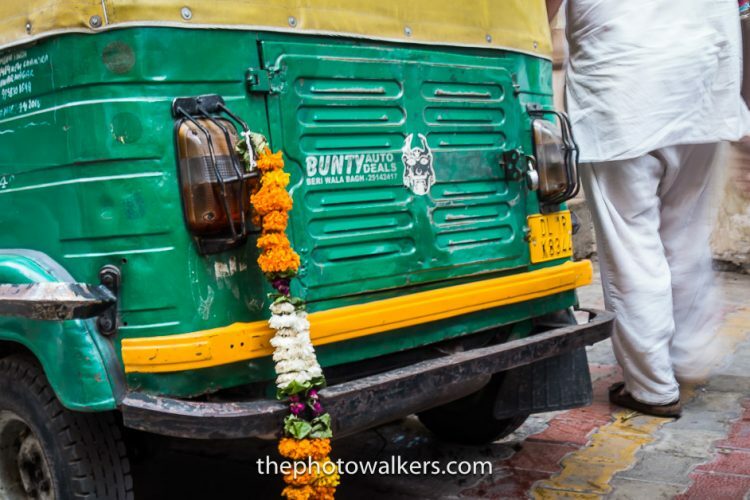 Onto Chandi Chalk – Old Delhi – a wonderful opportunity to practice your street and portrait photography. A relaxing dinner in the hotel on the rooftop. Breakfast and check out followed by a train trip at 10h00 to Mathura where Ishvara will be waiting for us. Explore the nearby town of Vrindavan (the birthplace of Krishna). Lunch at the Balaram Temple complex. This ancient town has not changed much in the past few hundred years. In fact, it is much the same as it was 5000 years ago. This is a wonderful opportunity to capture the magic of ancient India. In the afternoon we will relax at Kusum Sarovara (the abandoned temple where Krishna picked flowers for his beloved Radharani). Along the way we will pass through fields and villages getting plenty of opportunities to photograph rural scenes. In the evening we check into your accommodation next to the Bharatpur National Park. 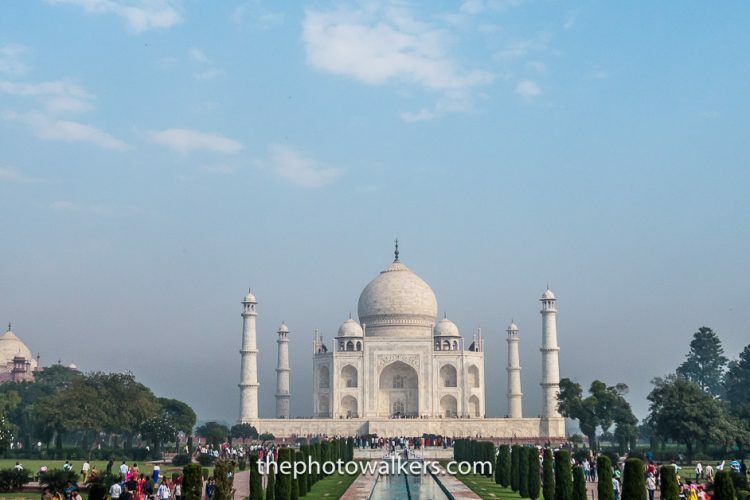 We will drive to Agra before sunrise, to the home of the Taj Mahal “ a pearl on the cheek of time itself “….the most popular attraction in India. Explore Agra Lal Qila (Red Fort) , the residence of Shah Jahan who built the Taj Mahal for his beloved wife Mumtaj. An Architecture photography course on the magnificent arches at the fort. A visit to the factory where the inlaid marble tables, tiles and crafts are manufactured. A light lunch and then return Return to tranquil Bharatpur for an afternoon and evening on own after a busy start. An early morning workshop followed by breakfast and a birding tour in the Bharatpur Bird Sanctuary which is known as the Keoladeo Ghana National Park, Bharatpur and was accepted as a World Heritage Site in 1985. This man made sanctuary is home to over 380 species of birds, making it one of the most inviting destinations in the world for ornithologists, photographers, amateurs and nature lovers. Cars are not allowed into the park so we will hire bicycles to get around – or you can go around on foot. An early morning workshop, breakfast, check out and a drive to the airport (approx. 3 hours) for a flight to Udaipur. Lunch en-route. Check in at a hotel in Udaipur with views of Lake Pichola or the mountains. In the evening, an orientation walk around this beautiful town to get your bearings – followed by a dinner and a night time photography workshop on rooftop of Javat Niwas Palace overlooking the Lake. A wonderful treat! A free day on your own to relax at a pool on the rooftop of your hotel, do some shopping, sleep, back up you images, go for a massage – whatever you feel like. At 17h00 we will meet for a walk through the backroads of the Udaipur capturing the ‘real and beautifully happy’ India. Dinner at your leisure. An early breakfast followed by a journey on our private bus to the Marwar countryside. Stop en-route visiting farms where the families are harvesting crops and wells in the desert driven by oxen . A visit to Kumbhalgarh the huge wall built to keep the invading Moghuls out of the Rajput Kingdoms and Ranakpur the biggest Jain Temple complex in India. Return to Udaipur after shooting the sun setting over the desert. After breakfast a visit to the Sun Palace built in 1559 by the Sun King, Udai Singh, followed by lunch on your own at any of the many lakeside restaurants or in the courtyard of the palace. Afternoon on own followed by a sunset cruise to Jag Mandir Island for photographs of the setting sun against the best views of Udaipur. Back to the hotel for rooftop farewell dinner. Our last day in India consisting of time to explore / shop / photograph / chat in Udaipur with a flight back to New Delhi at a suitable time – depending on your departing international flight time. If you flights are departing the next day – you can spend the night in Delhi. Accommodation in Heritage Hotels is included for this tour. This is where the photographers and tour guide have previously stayed and are staying again this year. Its clean and comfortable and conveniently situated. Once you have secured your booking for the tour with the deposit, we will send you the links to the hotels for your perusal and confirmation. thephotowalkers.com will provide as much information on the accommodation as possible that you choose and will therefore not be held responsible should you not be happy with the accommodation booked. You are welcome to arrive a day earlier or stay a day later and we will book your room for you at the same hotel that you choose at no additional booking fee – just the cost of the room and taxes. All of the above options are in the Drop downs when you fill out the “Booking and Enquiry” form at the top of the page. A deposit of $1000.00 (R13 650.00) per person is required to secure your place/s. This will be held in a trust account and refunded to you should the minimum number of people (six) is not be reached by the closing date for the tour – 30 June 2020. However, when the minimum number is reached we will confirm the trip with you and your deposit will count as a part payment. 50% of the balance is payable by no later than 30 June and the balance is payable in full by 31 August 2020. Late bookings are welcome if the tour is not sold out – but may incur an additional cost due to late accommodation and internal flight bookings. International flights arriving in Delhi are excluded. (Please make sure you land by lunch time on the 4th of November the latest). Additional accommodation and transport for international flight times other than on day 1 and day 10 of the tour. Please bring EUROS, INDIAN RUPEES or US DOLLARS with you to change at travel desks. We have found that drawing cash in India and paying with a credit card can be troublesome. For ‘standard’ everyday meals and drinks and the couple of entrance fees, we recommend about € 45.00 // INR 4000.00 // $ 50.00. Shopping money at your own discretion! Typhoid vaccinations are recommended – Hepatitis and Yellow Fever are optional. Comfortable clothing and walking shoes are recommended. There is beautiful cotton clothing for sale in India and you will have time to shop – so don’t worry to buy before you come! Alcoholic liquors or wines up to 1 litre per person can be purchased in Duty Free and brought into India.